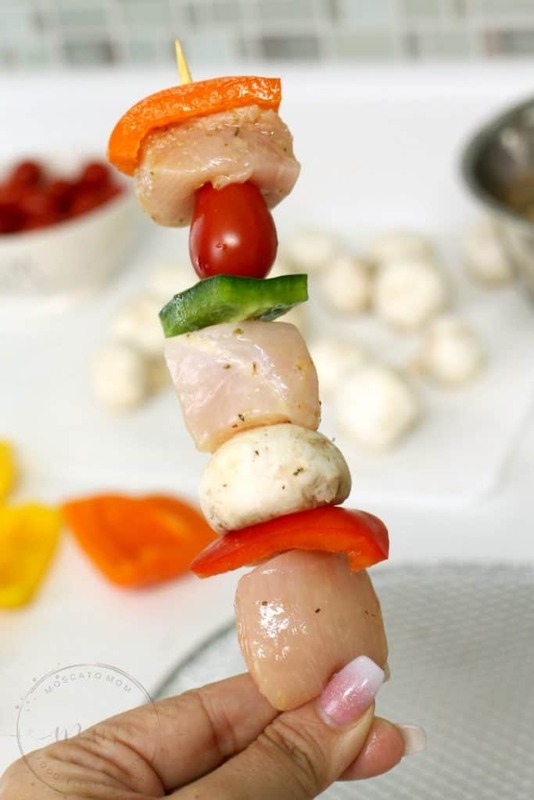 This Low Carb Chicken Kabob Marinade is made with simple ingredients that together make a savory, tangy flavor. Bell peppers are in season right now in Florida – and I am completely obsessed with eating as many as possible. 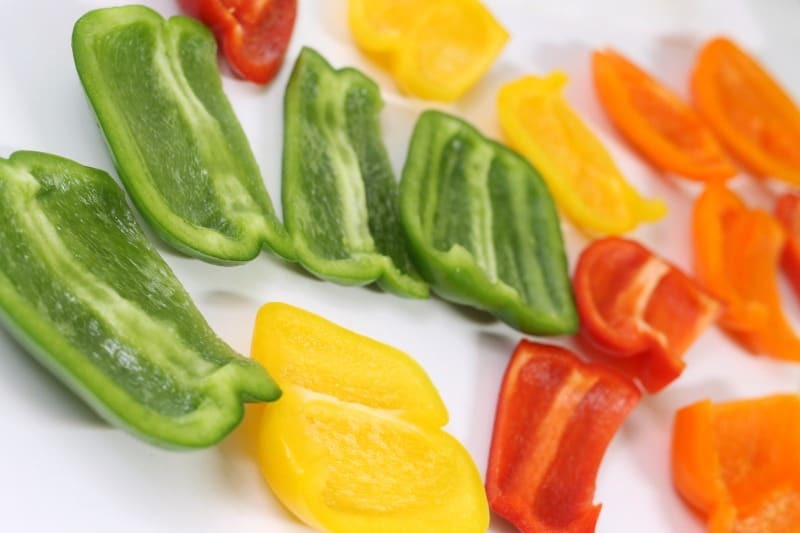 Bell peppers are a relatively low carb vegetable that can be eaten in so many ways I never get bored. 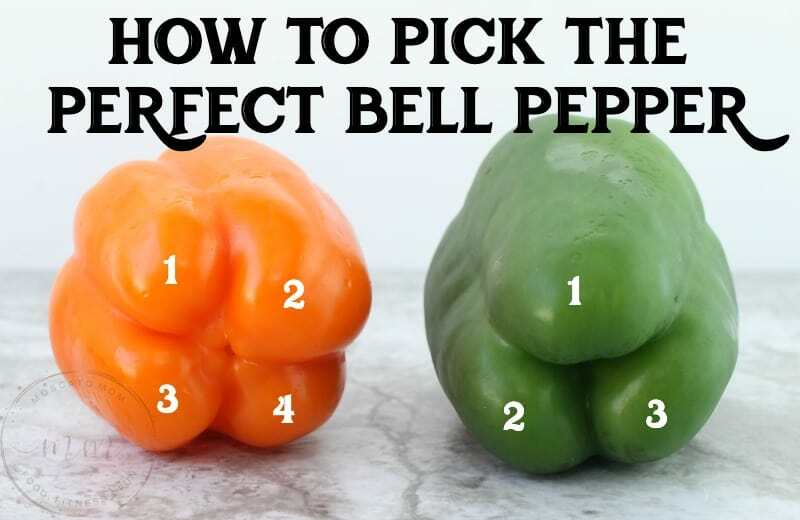 Besides looking for bell peppers that are nice and firm and vibrant in color, you also want to check the bottom of your bell peppers when shopping. Bell peppers with four “bumps” on the bottom tend to be a bit sweeter than ones with only three. 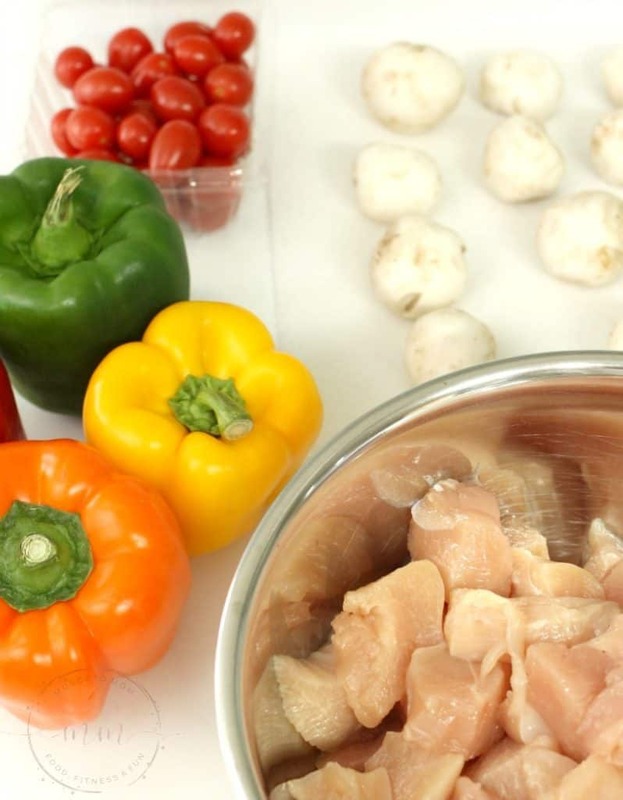 Since I knew I was making a savory chicken kabob marinade, I chose bell peppers on the sweeter side to help balance out the flavors. It was perfect! 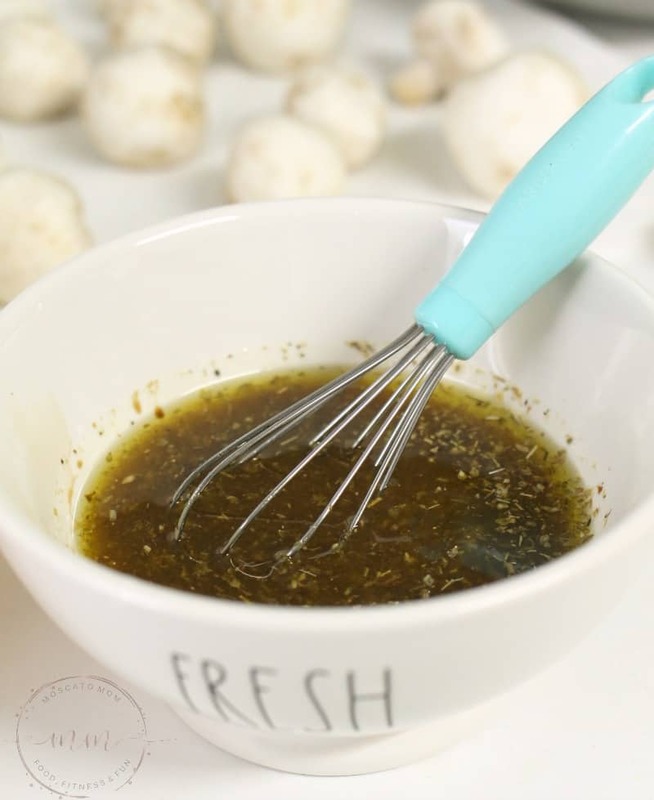 IHeartUMami has a great recipe for a Homemade Low Carb Worcestershire Sauce that you can use if you want to avoid the ingredients in traditional Worcestershire Sauce. 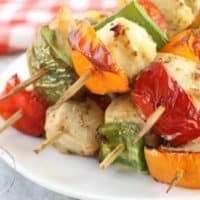 Start by getting all of your veggies washed and chicken cut into chunks and ready for your skewers. 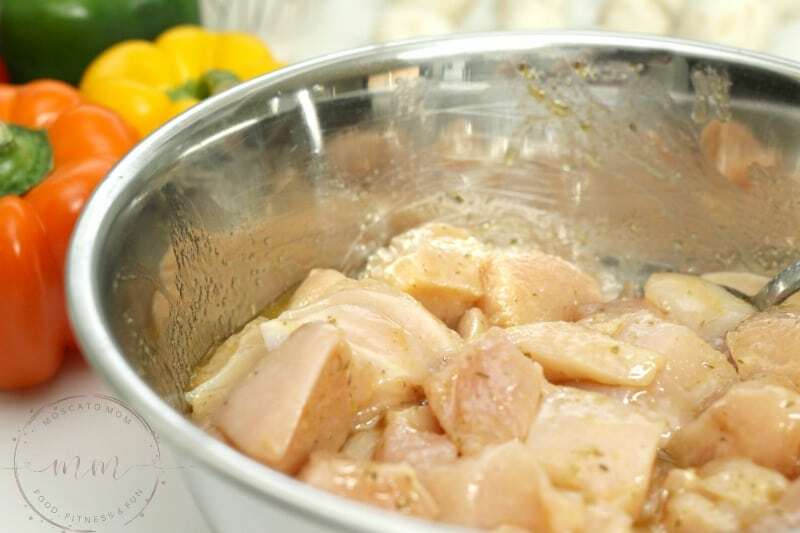 In a small bowl, mix your chicken kabob marinade ingredients well. Whisk together and pour 1/3 of the mixture over your chicken. Cover and refrigerate while you prep the vegetables. 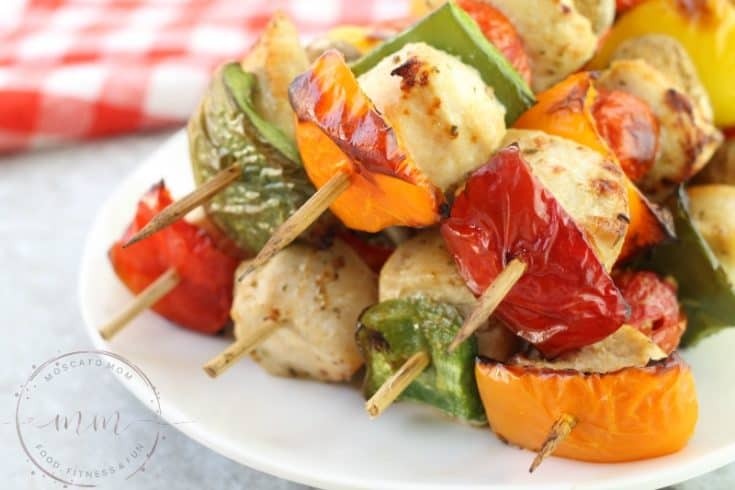 While the chicken marinates, cut your bell peppers into chunks, remove stalks from mushrooms, and prepare other veggies you have chosen for your chicken kabobs. 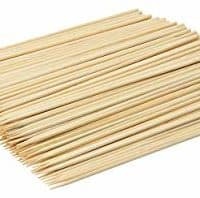 Using wooden kabob skewers begin layering your kabobs – really pushing all of the ingredients together for a good tight fit. Line up on your grill or on your air fryer oven trays. If using the air fryer oven, cook at 370* for seven minutes. 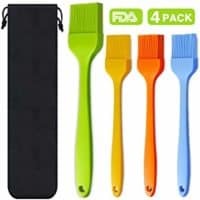 Remove trays and put remaining low carb chicken marinade on using a basting brush. 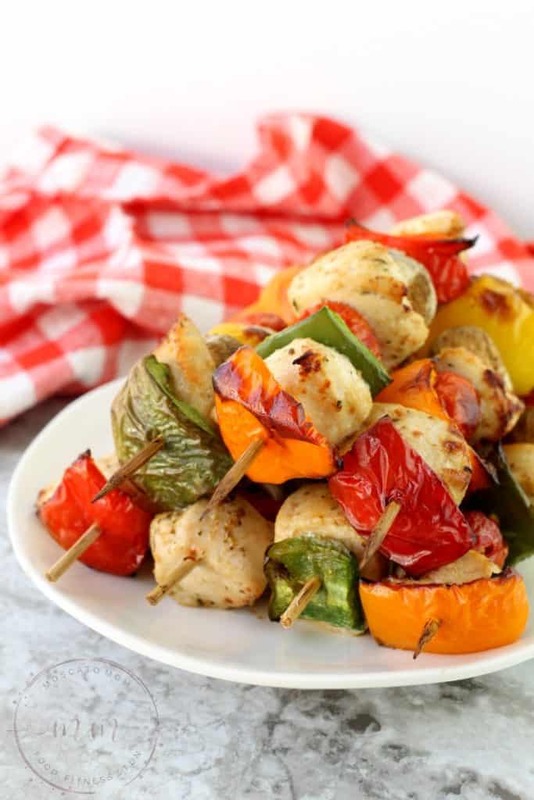 Flip kabobs and cook for another seven minutes or until chicken is cooked through and veggies are browning. Enjoy while still warm with your favorite low carb side dishes like my Summer Slaw with Homemade Dill Weed Dressing. 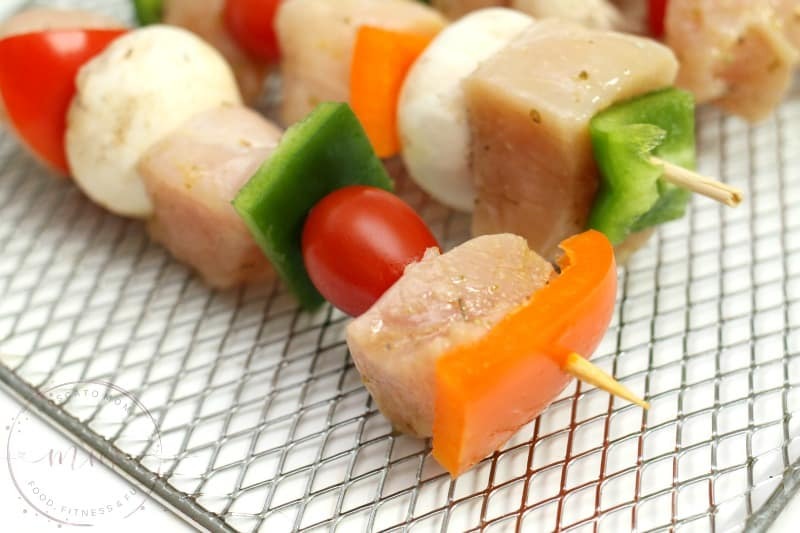 These Low Carb Chicken Kabobs are a great item to meal prep for the week. They save perfectly and can be reheated easily for a fast meal with almost perfect macros. 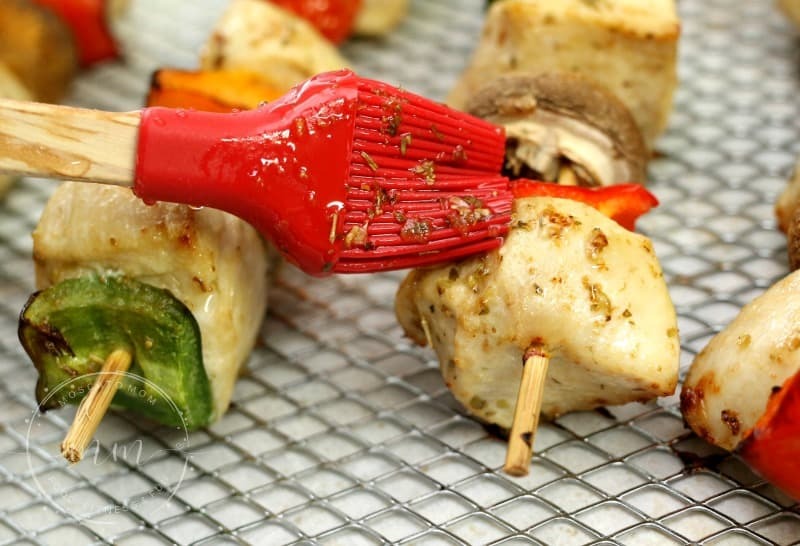 This low carb chicken kabob marinade will be your go to grilling marinade all summer long! 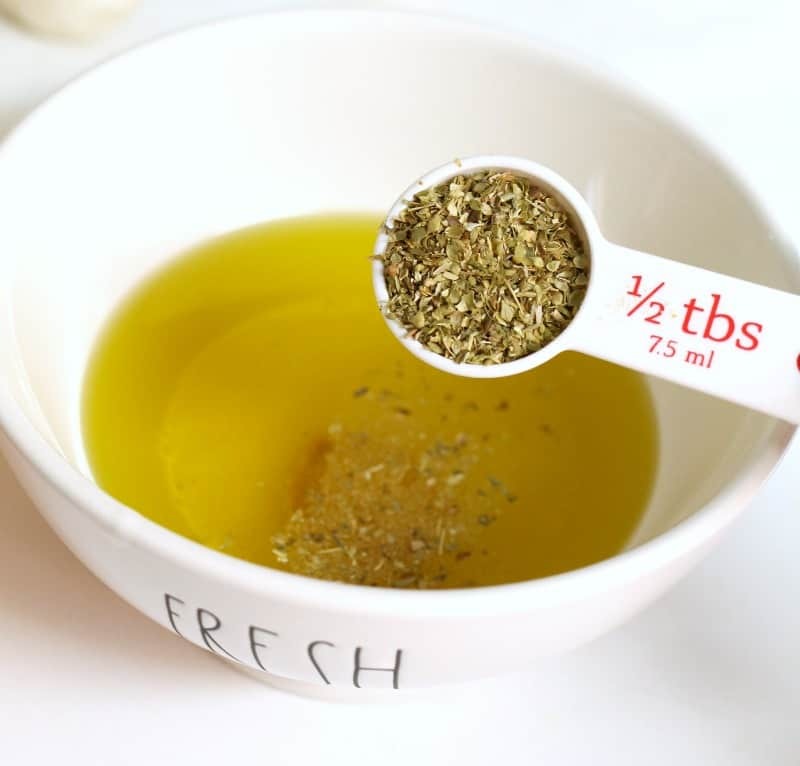 This Low Carb Chicken Kabob Marinade is made with simple ingredients that together make a savory, tangy flavor. 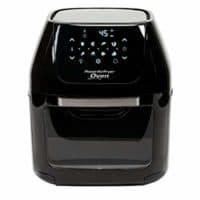 Place in your air fryer oven for 7 minutes at 370*. Remove from oven and rotate kabobs. Apply the remaining marinade with a basting brush and return to air fryer for another 7 minutes. If cooking on an open grill, cook on highest rack until chicken is cooked through and veggies start to brown - marinading often throughout the grilling time. Enjoy hot along with all of your favorite summer side dishes! Nutritional calculations are for marinade ONLY. 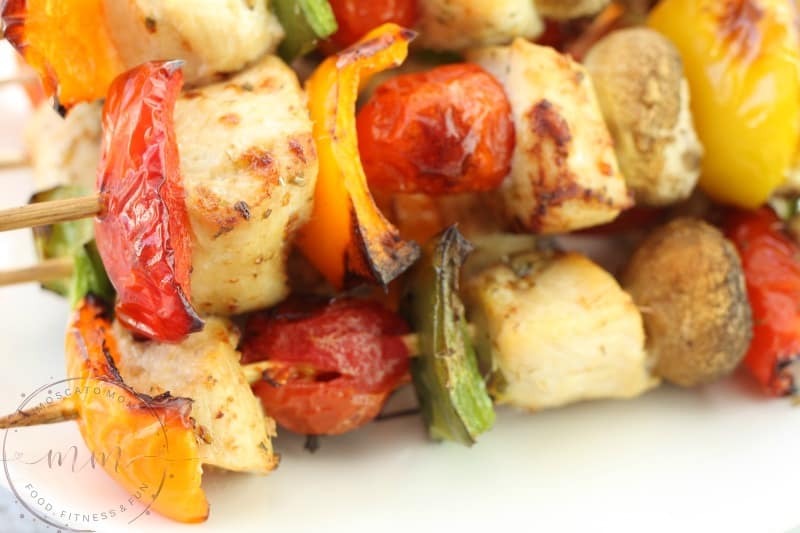 Make sure to calculate the kabob meat and veggies you choose to ensure proper macros.